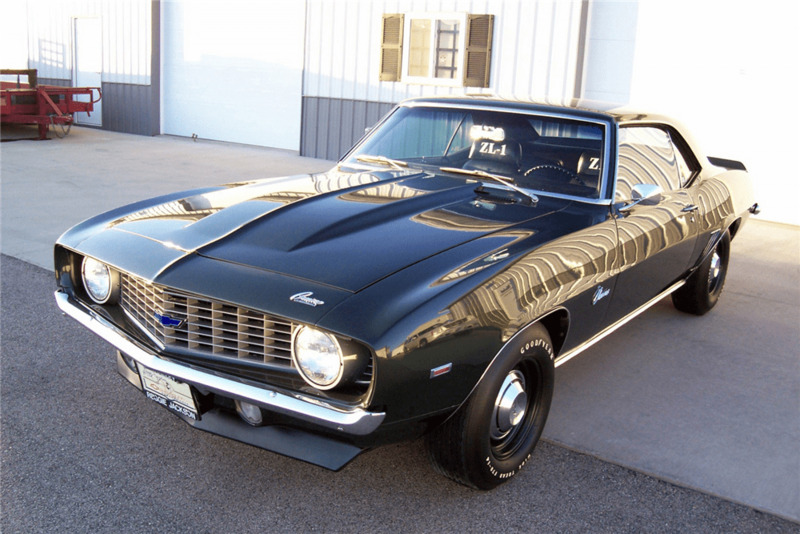 This 1969 ZL-1 Camaro is car Number 27 and was previously owned by Reggie Jackson. The vehicle was one of 50 ’69 ZL-1 Camaros purchased under Chevrolet’s Central Office Production Order (COPO) 9560 in order to qualify the engine and transmission for NHRA competition. It is one of 10 produced in the Fathom Green exterior color. 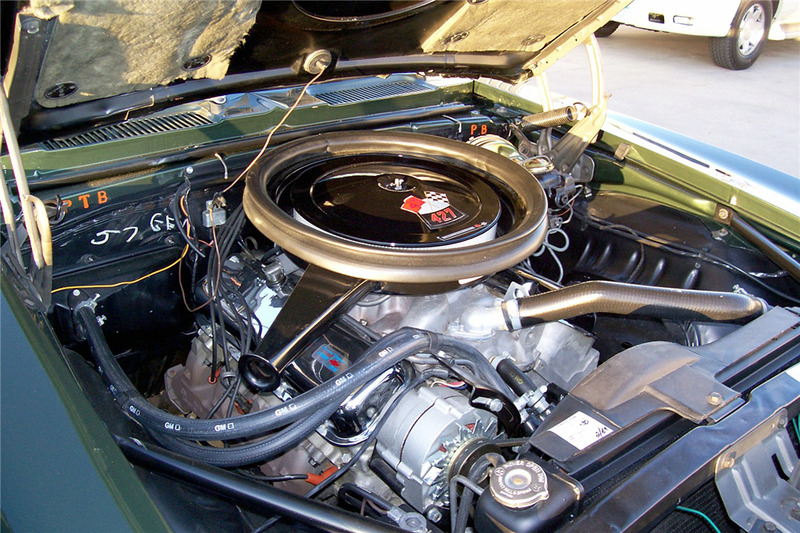 The high-performance unit included an all-aluminum 427 ZL-1 engine, special ducted cool-air hood, heavy-duty radiator, heavy-duty springs and a special BE heavy-duty 4.10 posi-traction rear axle. The car is documented with paperwork from GM and Fred Gibb Chevrolet, COPO Connection paperwork and is on the ZL-1 List. From the Gary Holub Collection. This car has been rebodied.